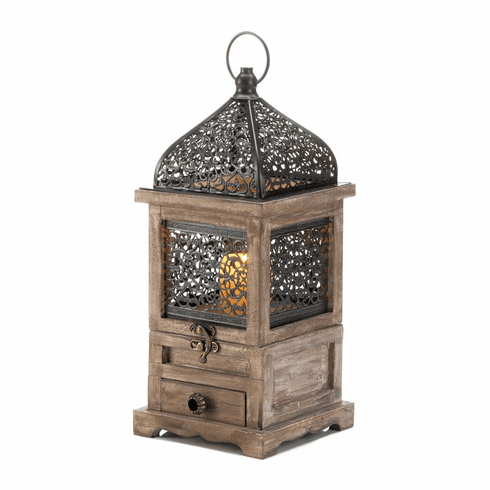 Here's a new twist on a classic lantern! 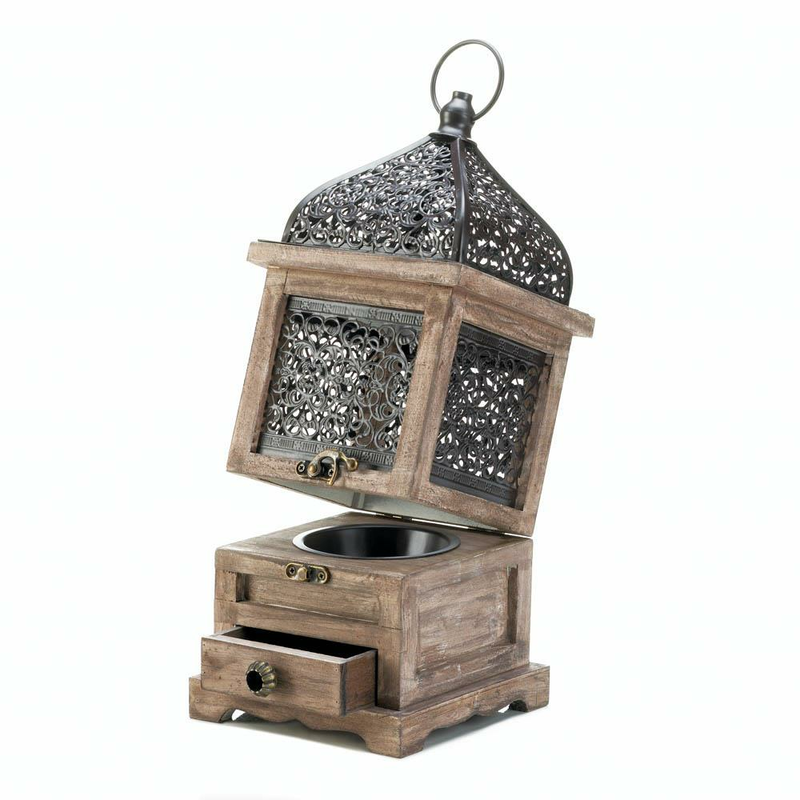 Release the clasp and lift the top of this lantern to place the candle of your choice inside. The wooden frame has a little drawer and the intricate cutouts on the metalwork will dazzle you when candlelight dances through them. Weight 1.4 pounds. 5.5" x 5.5" x 14.2". Iron, Pine Wood. UPC Number: 849179032456.